Sometimes people will align closely with the people they grew up around; they can carry on these theologies, traditions, physical traits, or even personalities. For some, that means becoming a 5th generation peanut farmer with strong religious convictions and for others, that could mean becoming an activist, a scientist, or an engineer. So what happens when the child of that 5th generation bean farmer is born allergic to peanuts? All within a blink of an eye the life and future of that farm have changed. Of course, there are always choices. Those parents could choose to run a million tests to try to ‘fix’ the child, they could send their child away to a relative, give them up for adoption or even disown them. They could hold strong in their dedication to their history and refuse to accept a change to what they know. This child was born with an allergy, something completely out of their control, to a family whose entire existence up until now depended on and revolved around the family farm. Now, I personally can’t imagine a parent choosing peanuts over their child but then again humanity never ceases to amaze me. Even once that child grows up, will their friends and family idly sit by if that child is teased, bullied, or harassed? Or will they be their advocate? Will they triple check their food, will they stop eating at their favorite food chain, will they make sure their school is careful? How far will they go to help the world be a little easier for that child? I know the analogy may not be the best, but I don’t know of a simpler way to put it. 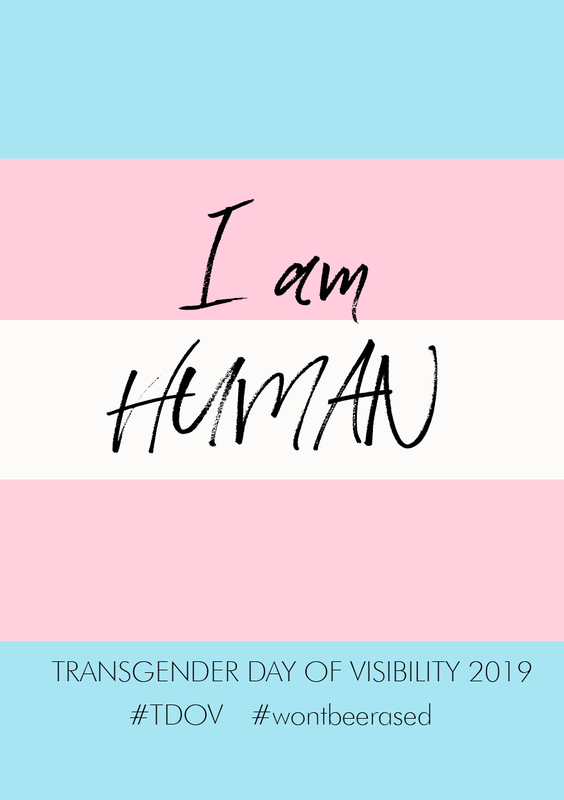 Today is Transgender Day of Visibility. I am grateful every day of my life. I am grateful for the people I am surrounded by and for the privileges I have. I am a father of three amazing kids. While they are not biologically a part of me, they are the best part of me. I am a husband to the most amazing person I ever had the privilege of meeting and who is an amazing mother to our children. I am the son of a wonderful woman. I am a Web Developer. I am a self-proclaimed comedian. I am always learning. I am always dreaming. I am always fighting. I am a crier. I am a helpless romantic. 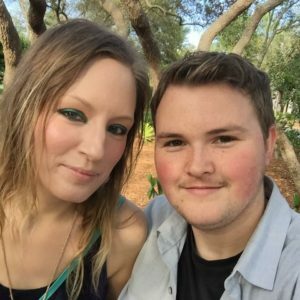 I am also a Trans Man. I am me. I am HUMAN and I am here. Every time I go out in public, I am aware of the privileges that I have been handed simply because of the way that I present. I am also all too aware of the privileges that others do not receive. The privileges that I sometimes take for granted. The privileges that every person should have as well. Safety, security, love, acceptance, belonging. Yet, I also come into contact with people who are less educated or less accepting. I have been harassed, beaten and judged. I’ve been through the dirty looks, the bad names, the dead names, the dysphoria, the judgment, and the loss that comes with the reality of being “different” in our world. While every one of these events shaped me in some way or another, I would not wish it on anyone. For the most part, I have lived my adult life after transition under the radar and in the shadows. So much so that this morning when I woke up my wife was the one who pointed out what today was. So much so that I haven’t attended a support group or community event in far too long. Not intentionally of course, but I’ve become far too comfortable in my privilege. I sometimes forget that being found out and corned by the wrong person(s) could end very badly for me. Today is different. Today brought me back to my early transition and the pain that went along with it and I embrace it. I welcome the reminder that I need to do more. I can’t sit back in the shadows and comfort of my own privilege while there are so many others like me who do not get the same grace. The ones who can’t walk alone, the ones who must hide and the ones who have lost their lives. So today, I am here to say we won’t be erased. We will not simply go away. We will stand up and we will be loud. We will fight and we will be heard. Our lives on the larger scale amount to a minuscule blip in time but together that blip can change the trajectory. I will do my part. The question is.